Open: Six days a week, closed Mondays, on the day after national holidays, and from December 29 – January 3. Open other holidays. 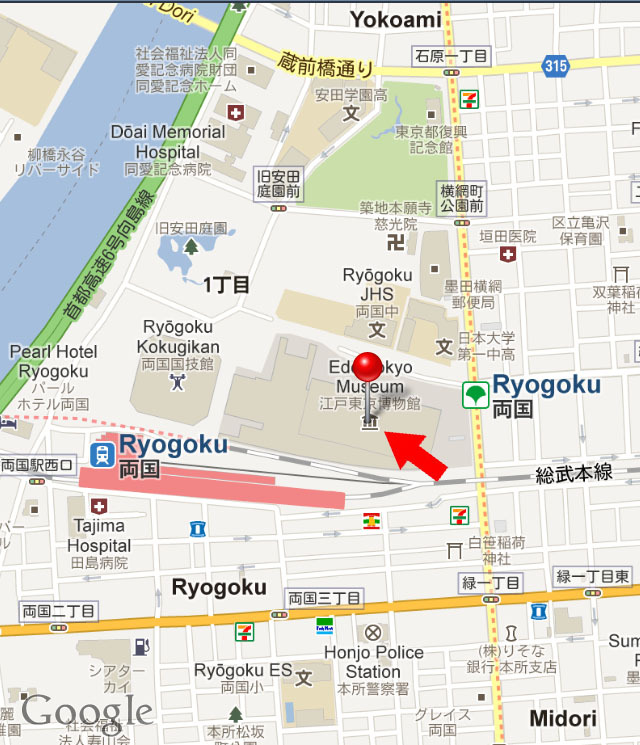 The museum is the giant concrete hulk next to the green-roofed sumo stadium. It is up a flight of stairs, above the train tracks. Buy tickets outside at the ticket booths, then go up the very high red escalator to the museum entrance.